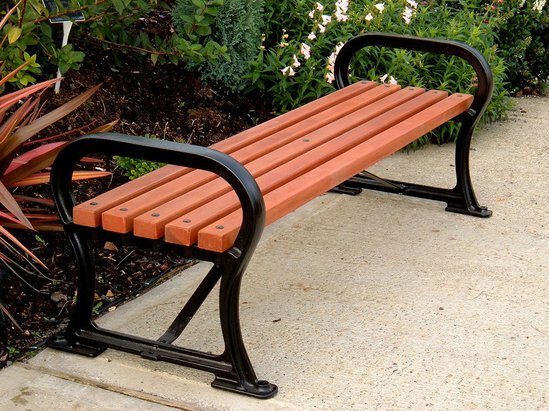 The Avenue SF45 bench has traditional cast iron supports and a slatted hardwood seat. 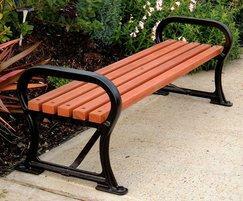 The cast iron supports are coated with a rust-inhibiting paint in RAL 9005 black as standard. Other colours are available on request. The hardwood slats are 45mm-thick and the timber is selected from the strongest grades for strength and durability. They are finished with two coats of microporous woodstain to enhance the natural appearance of the timber. When left to weather naturally the timber will gradually turn silver grey in colour without loss of strength. 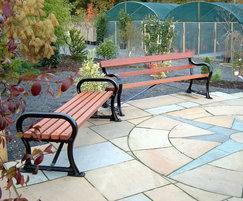 If preferred, an application of woodstain every few years will retain the rich colour. 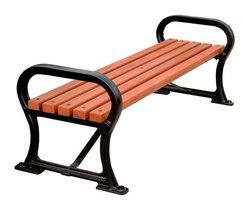 The Avenue SF45 bench is delivered in sections for ease of handling and requires assembly.